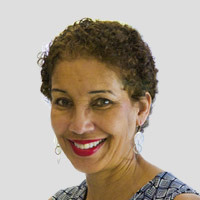 Paula Poindexter, who has been a manager and executive at The Los Angeles Times and a reporter and producer for KPRC-TV, the NBC affiliate in Houston, is president of AEJMC, the largest association of journalism educators, graduate students, and media and communication professionals in the world. Poindexter, who teaches journalism undergraduate and graduate courses, earned her Ph.D. degree from Syracuse University’s S.I. Newhouse School of Public Communications. Poindexter has published three books: Millennials, News, and Social Media: Is News Engagement a Thing of the Past? (Peter Lang); Women, Men, and News: Divided and Disconnected in the News Media Landscape (Taylor and Francis); and Research in Mass Communication: A Practical Guide (Bedford/St. Martin's). Poindexter is also the author or co-author of more than 50 scholarly journal articles, book chapters, and conference papers, and over 60 professional articles, book reviews, and presentations. Poindexter has been the recipient of national awards and campus recognition and she has taken a leadership role on several important initiatives. She was awarded AEJMC’s Inaugural Lionel C. Barrow Jr. Award for Distinguished Achievement in Diversity Research and Education, and she received a First Place Award in AEJMC’s "Excellence in Teaching Paper Competition." Additionally, Poindexter’s proposed course, Journalism, Society, and the Citizen Journalist, was selected for the Carnegie-Knight Initiative on the Future of Journalism Education. Plus, Poindexter, who directed UT’s journalism graduate program for five years, was nominated for Outstanding Graduate Advisor at the University of Texas at Austin. Poindexter continues to chair the fund-raising for the Maxwell McCombs Graduate Student Publishing Award Endowment which annually recognizes UT Journalism graduate students who published at least one peer-reviewed journal article during the previous year. Contributions can be made to the endowment through UT’s secure website at http://bit.ly/1brJtKZ.